Stonewall Gazette: Sam Tsui and Casey Breves sing mashup of "Stand By Me / Stand By You"
Sam Tsui and Casey Breves sing mashup of "Stand By Me / Stand By You"
Singers Sam Tsui and Casey Breves do a lovely mashup of the classic Ben E. King song "Stand By Me" with Rachel Platten's "Stand By You." Joining the guys are Jason Pitts on guitar and Joel Mandrake on percussion. 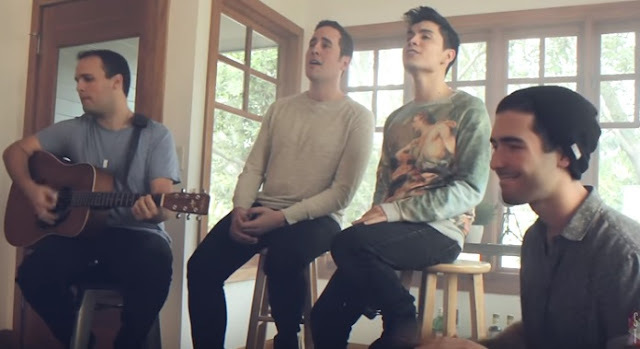 Watch: Sam Tsui and Casey Breves sing, "Stand By Me/Stand By You"